It's the weekend, time for lazing and relaxing. 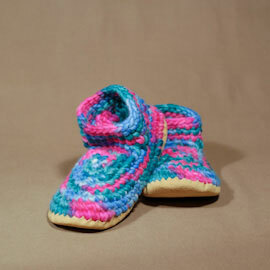 These hand crocheted slippers are made from fine New Zealand wool with a plush sheepskin lining. These slippers really "breathe" for year round comfort.